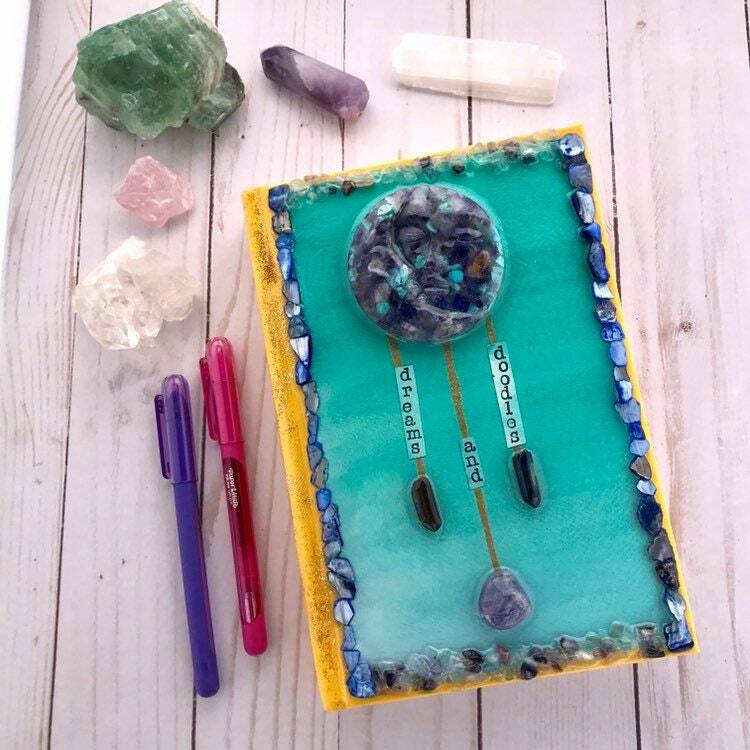 Crystal adorned sketchbook with handmade resin sun and moon filled with turquoise, amethyst and lapis lazuli with watercolor ombré background all sealed in resin. The perfect place to doodle and let your creative soul express itself freely. Approximately 6 x 9 inches. Pencils and crystals in the photo not included.